RPAS Australia deploys the latest UAV aka drones to capture terrain data for use in aerial survey maps that help calculate volumes, capacity void and settling without the wh&s risk associated with ground surveys. Ideal for EPA levy reporting. Progressive surveyors are choosing to use Remotely Piloted Aircraft (RPA) as the preferred tool for volumetric surveys of waste management facilities. For good reason. Capture Millions of points, not hundreds. 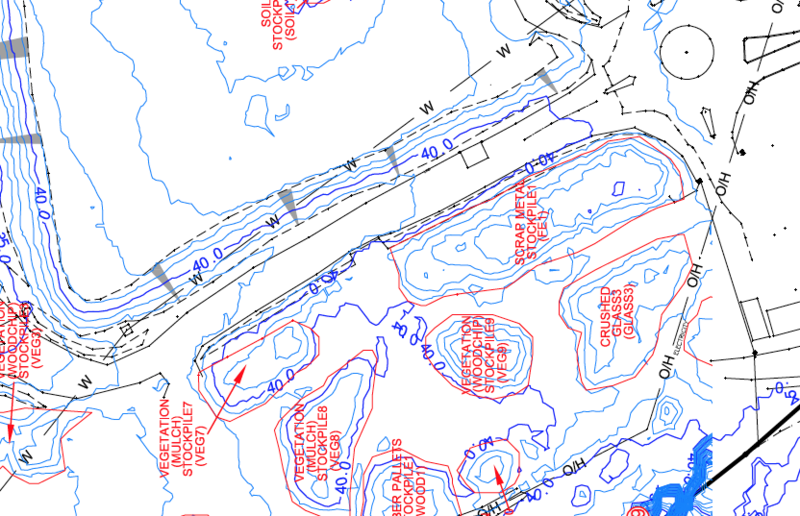 Aerial survey data in the form of Ortho imagery and DXF files help the registered surveyor complete the EPA Waste Facility reporting requirements. Remotely Piloted Aircraft (RPA) provide high resolution aerial imagery, useful for multiple purposes after the survey has been completed.